There is no pudge like Seattle pudge. Sure, PDX has it beat in terms of variety, but there are a few indulgent delicacies that cannot be found outside of the rainy city. 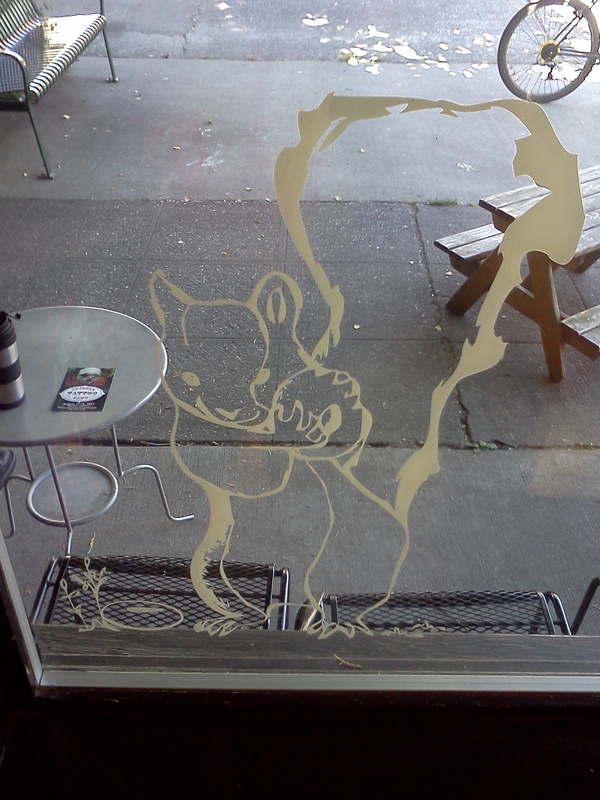 Wayward Vegan Cafe – We gonna brunch like it’s 2am at Denny’s. 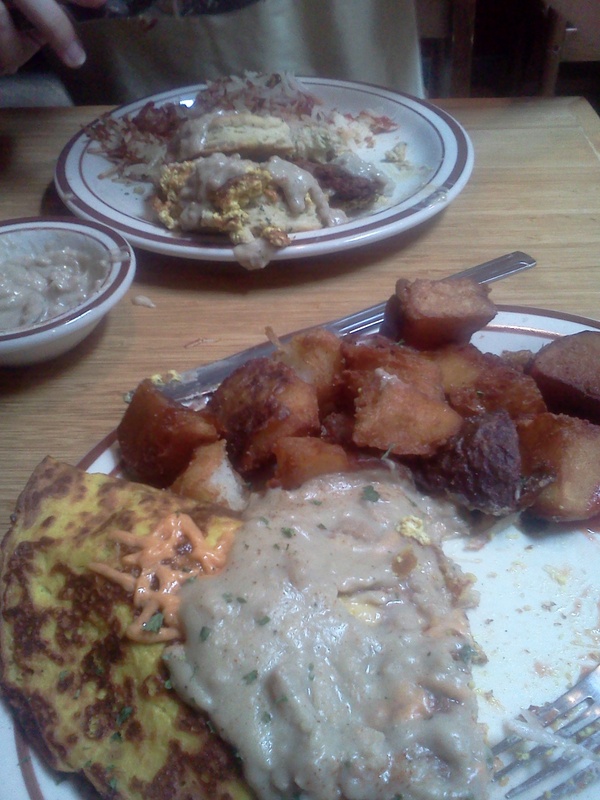 Did you ever expect to sink your herbivorous teeth into a vegan omelet? Cheese blintz? Fake ham & turkey sandwich with French toast for bread? I know, you wish I were kidding. But it’s all here in Seattle, it’s bigger than your face, and it costs less than $10. Objects are just as large and can’t-stop-eating-even-though-you’ll-clearly-regret-it-in-a-matter-of-minutes as they appear. For your sake, I hope you’re already well-acquainted with the utter deliciousness that is Field Roast’s Apple Sage Sausages (if not, head to the nearest Whole Foods ASAP). What many people don’t realize is that Field Roast, which is headquartered in Seattle, is cruelly depriving the rest of the country of their other delicacies. Right across the street from Wayward Cafe is Side Car Pigs for Peace vegan grocery store (completely awesome in its own right – all the proceeds go to a pig rescue organization), which carries every Field Roast product imaginable for shockingly reasonable prices. 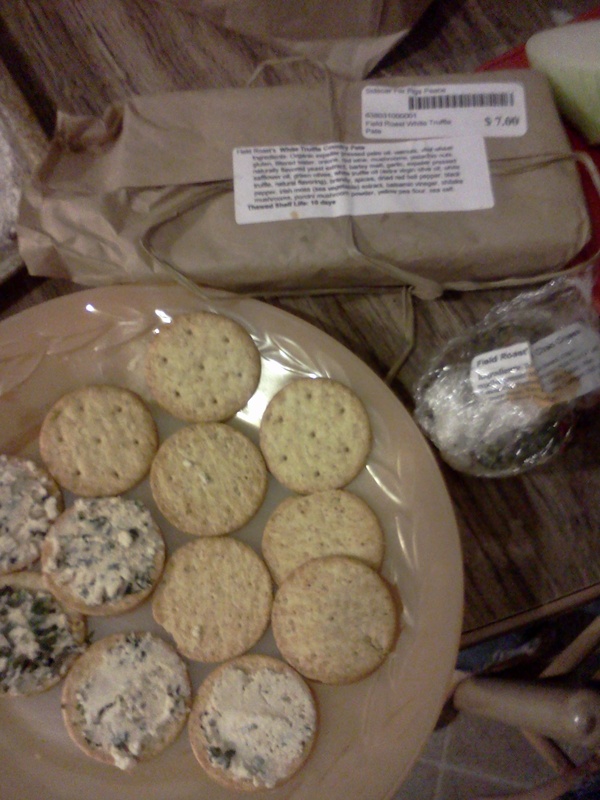 Foodie it up with vegan pate, gourmet cheese balls, and porcini dijon cutlets. And, of course, no self-respecting trip to Seattle is complete without a trip to Mighty O Doughnuts. Portland donuts (from Voodoo and Sweet Pea) have a better texture than Mighty O, but Mighty O has more flavors and their ingredients are all organic! 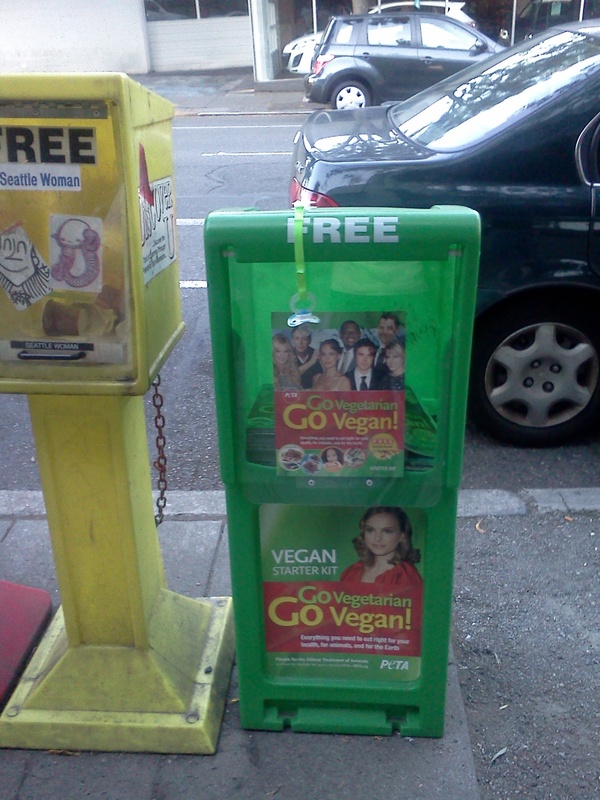 O HAI casually placed vegan info chillin’ next to the classifieds like it ain’t no thing!